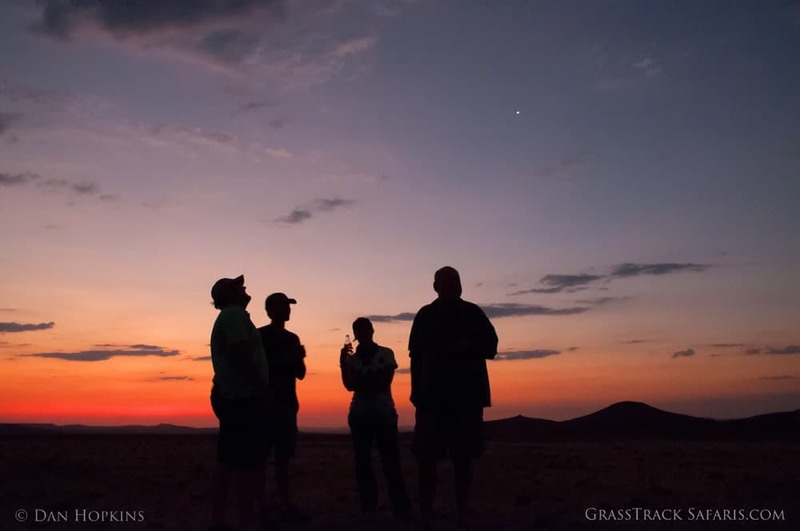 What is a Safari Sundowner? 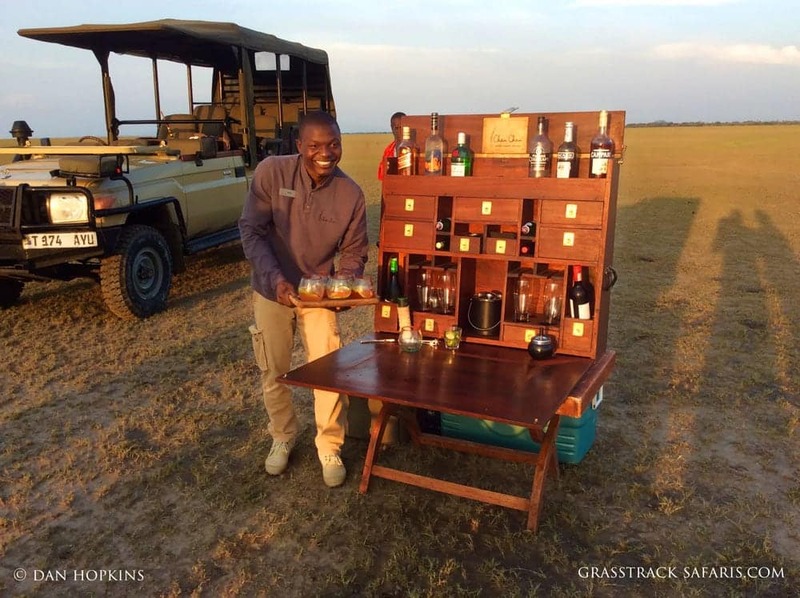 A safari sundowner is simply an African happy hour where you sit back, cocktail in hand, and watch the sun slip below the horizon. It’s a classic safari tradition dating back to the colonial days. 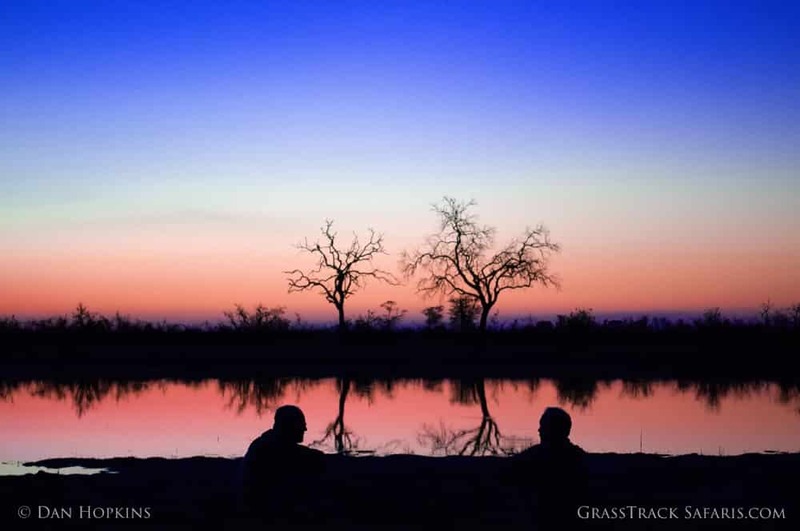 Sunset is a peaceful time in Africa and it’s also the perfect time to relax, reflect on the day’s events, and absorb the atmosphere of Africa as day transitions into night. As you finish your afternoon game drive, walking, or other activity, your guide will take you to a beautiful and remote location in the bush. 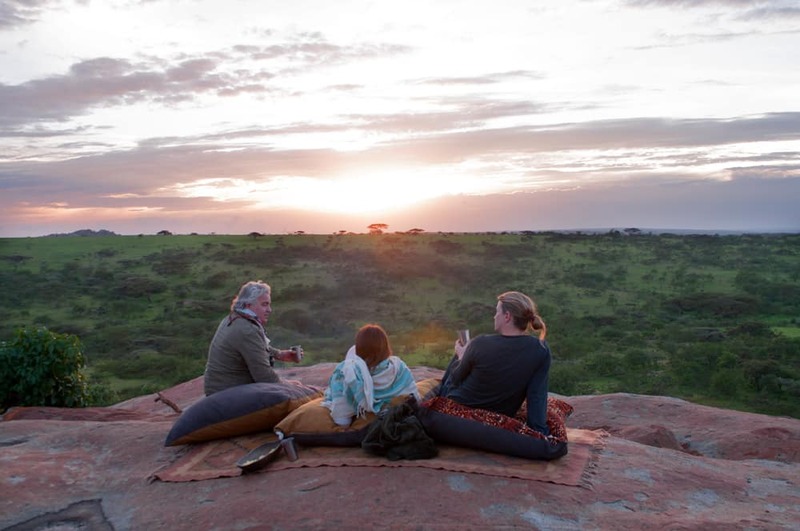 The guide or camp have their favorite sundowner spots, and all are ideal for watching the sunset. You may find yourself on a hilltop overlooking the savanna or next to a waterhole watching the wildlife come for their last drink of the day. Almost like magic, chairs, a table and a well-stocked cooler appear from the back of the vehicle. Your guide will offer you a range of drinks, from the classic gin & tonic, to local beers, and fine wines. Light snacks are served as well including nuts, dried fruit and biltong (a jerky made from various game meats). There are endless places for sundowners and your guide will know the best ones. 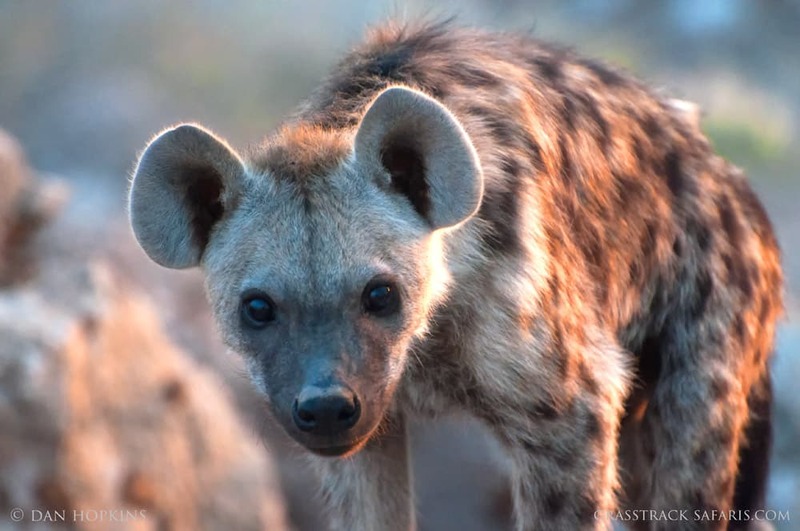 Here are a few of my favorites I experienced during my safaris. Well Stocked Bar is a Sundowner Essential! We were out for a late afternoon walk exploring the bush around the camp. We met up with the camp’s safari vehicle and they drove us across the vast shoreline of Lake Manyara. When we arrived at our sundowner spot we found a portable bar, chairs set up around a small table, and a campfire. It was a surreal moment as we watched the sun drop below the Great Rift Escarpment enveloped by a feeling of endless space. The wildebeest herds were beginning to arrive into the southern Serengeti and we had spent the afternoon witnessing the thousands of wildebeest, zebra, and other game. We ended the day on a cliff overlooking the rolling hills of the Serengeti. A blanket and pillows were laid out on the rocks and we sat back, enjoyed our gin & tonics, and watched the sun set. 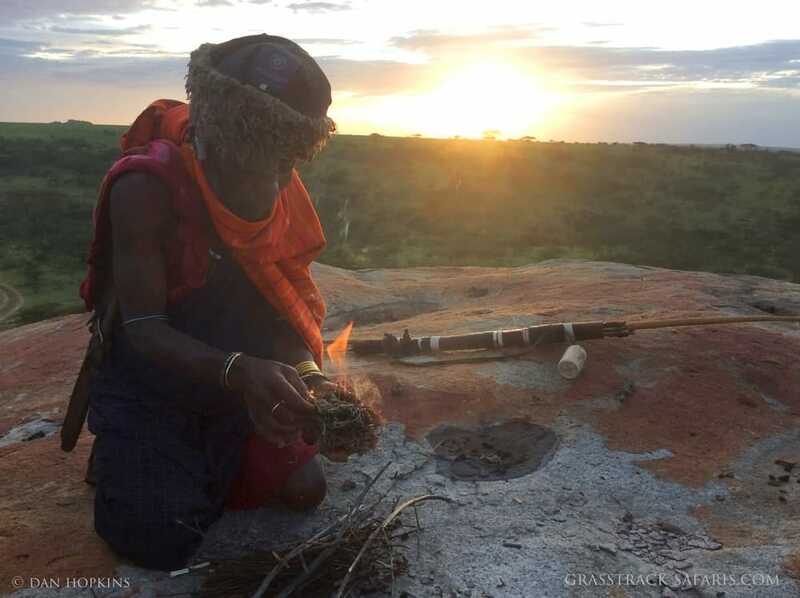 A local Masaai man also started a roaring campfire. This sundowner was a little unusual in that we never left the vehicle. We were stopped next to a hyena den and watched the cubs and adults emerge from the den as the sun set. The cubs are extremely curious and walked up to us and sniffed the tires. We eventually left the den and found a remote spot in the desert where we watched the moon rise and the stars appear. While on a Botswana mobile camping safari one of my favorite campsites in Chobe National Park is the Zwei Zwei Pans, west of Savute. The site is remote and located next to a waterhole. We were camped near the pan and for our sundowners we simply walked from camp and sat next to the waterhole. You know you're deep in the African bush as there were no other people for miles around. 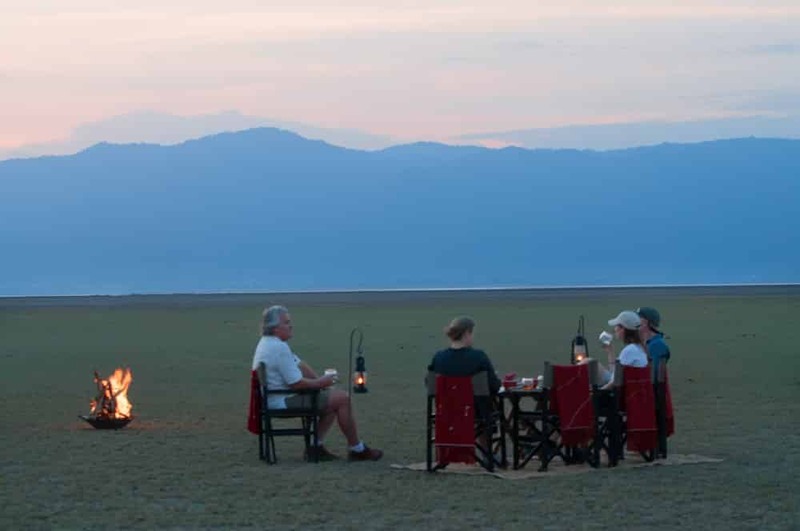 While on a camping safari another favorite sundowner spot is the camp itself. 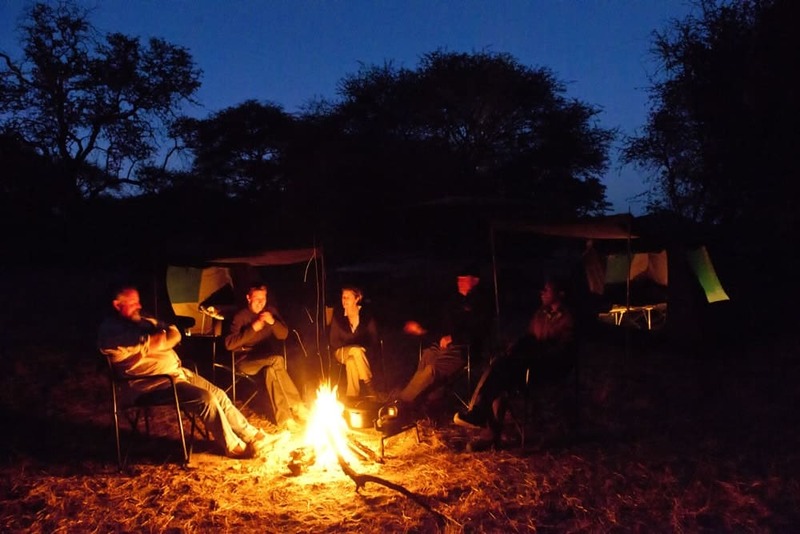 There’s nothing like sitting around a campfire, enjoying a beer and listening to sounds of the African night.